This is Vicencia Amessimekou, a 62 year old mother of 5, who sells a variety of products at the local market. She received 3 loans from IADES, then one Deki loan which she completed repaying in November 2018. Alongside her loans, Vicencia also attended a lot of training from business planning and stock control to marketing, credit management as well as a lot of health related courses. She sells many different things on her market stall. This to make sure she doesn’t rely on a single product for her income in case of changes in availability or demand from her customers. This was one of the first things she did after she attended IADES’s ‘Diversifying products and activities’ course. With each loan she introduced new products to her business, making it more stable and increasing her income steadily. Now she sells baby products, fruit and palm oil from local small scale farmers and even makes and sells her own porridge called akume. With a steadier business, she’s been able to make £16 profit a month, after paying her loan repayments and interest and covering her household’s expenses. She likes that IADES doesn’t just offer business training – but a lot of social support workshops too. Vicencia attended malaria prevention, women’s rights, family planning and contraceptives trainings, as well as sessions about the benefits of vaccination, the dangers of self-medication. She even learnt about meningitis - the cause and consequences of the disease and what to do if you or someone in your family has it. 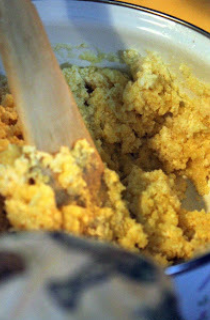 Making akume or corn porridge, a staple food in Togo. 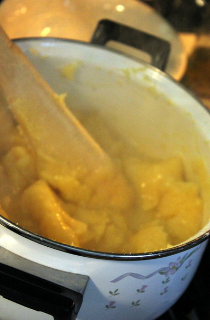 Once cooked, the porridge is beaten and stirred until smooth. 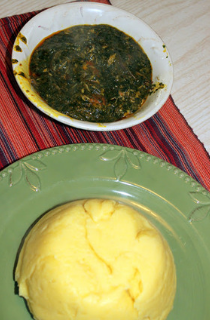 It is eaten with Green sauce with is made with Ademe leaves, a local vegetable. 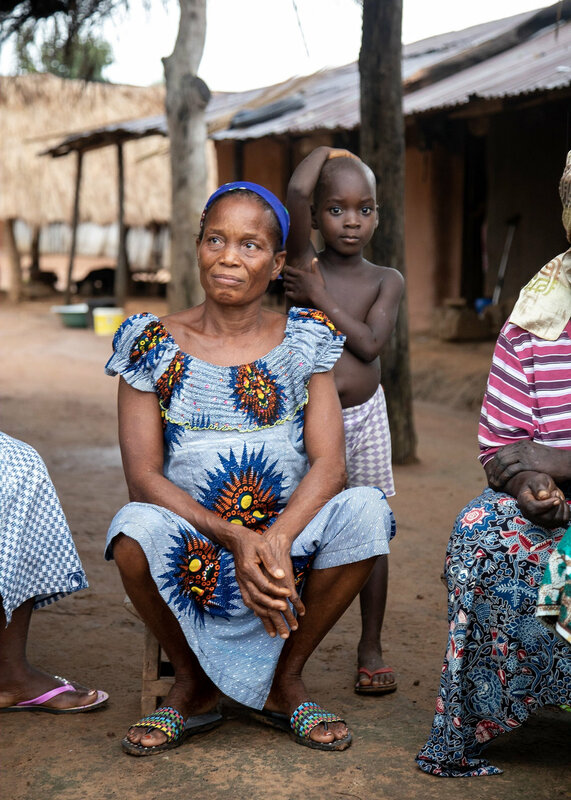 Everything was working out well, but one day her husband, who is a farmer, fell ill. Social coverage is non-existent in Togo for the informal sector and this makes it almost impossible for most households to cope with health spending. In case of medical emergencies, like her husband’s sudden illness, people are often forced to rely on self-medication (which Vicencia already knew was very dangerous) or incur catastrophic expenses for their family. Luckily, because of her loans, her business has prospered and Vicencia was able to draw on her savings and profit to pay for his health care costs. IADES and Deki are helping marginalised people move out of extreme poverty through microfinance, giving them resilience to financial shocks, such as health care costs. But we want to do more. We don’t want people like Vicencia to spend all their savings on medical emergencies. Instead we are working hard to support IADES to bring healthcare insurance into their portfolio. This way entrepreneurs can have the security of insurance, so they only have to pay a portion of their medical expenses and can save their money to improve life for their families.